Charlie White by Revlon is a Floral Green fragrance for women.The fragrance features violet, peac..
Charlie Red by Revlon is a Oriental Floral fragrance for women.Top notes are orange blossom, gard..
Charlie Gold by Revlon is a Oriental Floral fragrance for women.The fragrance features orange, ap..
Charlie Blue by Revlon is a Floral fragrance for women.The fragrance features sandalwood, musk, j..
Revlon is an American cosmetics company founded in 1932 during the Great Depression. Brothers Charles and Joseph Revson, along with chemist Charles Lachman (who is represented by the "L" in the Revlon name) began by offering a single product—a nail polish made with pigments instead of dyes that offered more opaque coverage. This product was successfully marketed to department stores and drugstores, and the company experienced rapid growth as purveyors of manicure tools. They entered the cosmetics world with the addition of lipstick to their offerings in 1940.The company's stock went public in 1955, and by the 1960s Revlon was offering products to different segments of the market under brand names Revlon, Princess Marcella Borghese, Ultima II, Natural Wonder, Moon Drops and Etherea.Marketed internationally since the late 1950s, Revlon successfully sold the "American look" to other countries through the use of top models—a strategy still in use by Revlon today. 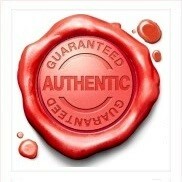 Fragrances have long been included in the Revlon offering, beginning with Jean Nate in 1935. In 1968, Revlon introduced the first American designer fragrance, Norell, in partnership with Norman Norell. 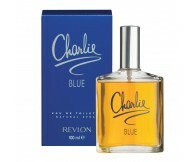 Revlon's 1973 launch of perfume Charlie featured the first perfume advertisement showing a woman wearing slacks. The fragrance was marketed towards the emerging independent woman of the 1970s, and became an immediate best-seller. Revlon successfully marketed a series of iconic women's fragrances in the 1970s, including Enjoli, Jontue and Ciara. Revlon continues to be one of the world's largest mass-market cosmetics and fragrance manufacturers in the 21st century.